Download this cosmetics 4 products set. 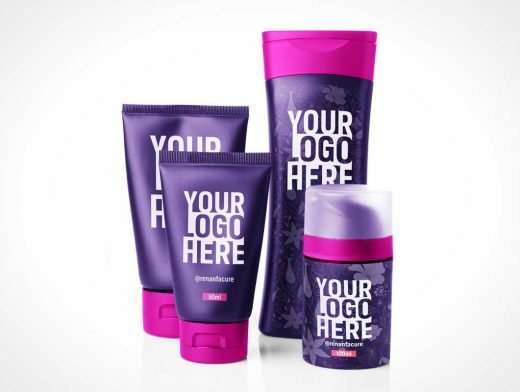 This PSD template includes 2 squeeze tubes, 1 anti perspirant deodorant and 1 shampoo bottle product. Use this mockup to showcase your brand in a branded preset high-resolution product shot.